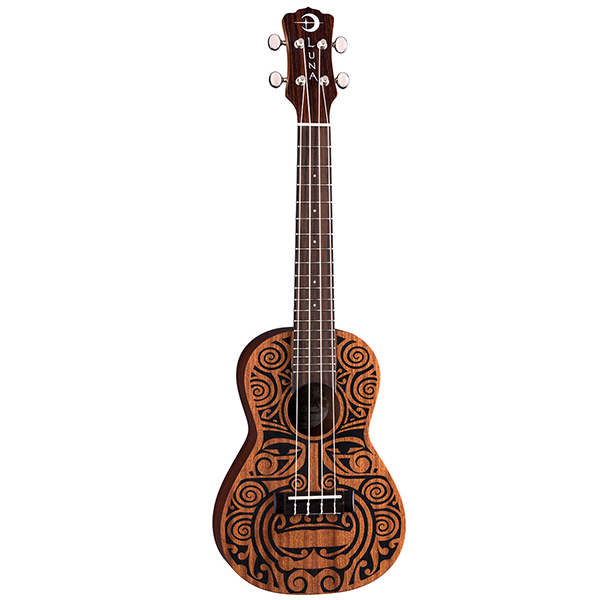 Luna's Tribal Series consists of traditional profiles and wood selection with Hawaiian body ornamentation, mixed with guardian spirits, and contemporary designs. 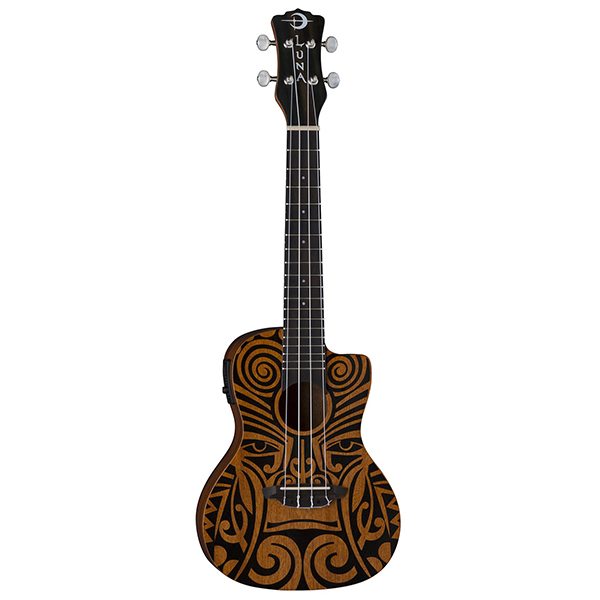 The Tribal Soprano uke takes its design from traditional Pacific carvings. 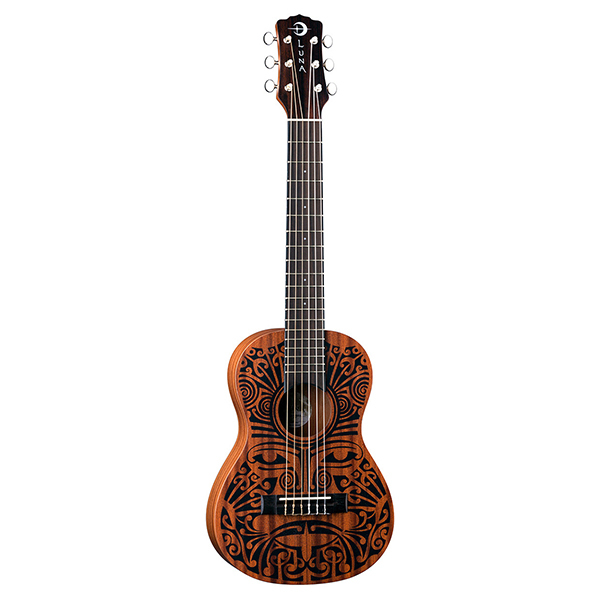 Designs that are simple, tattooed in black against brown skin, with strongly geometric patterns, and many shapes and symbols inspired by Tribal warriors. 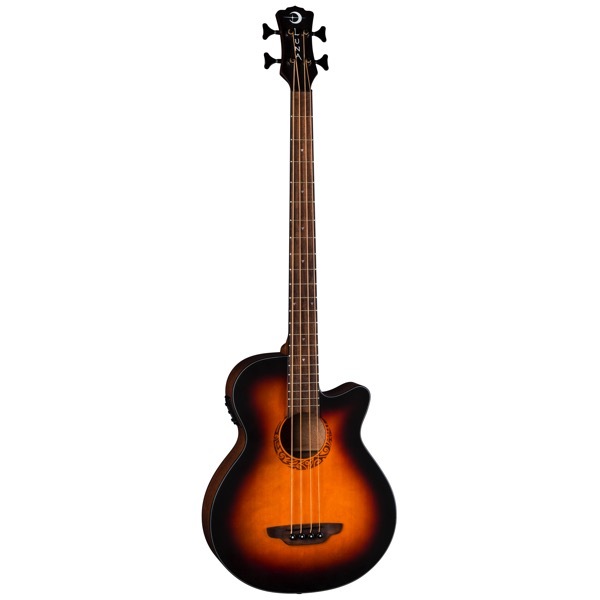 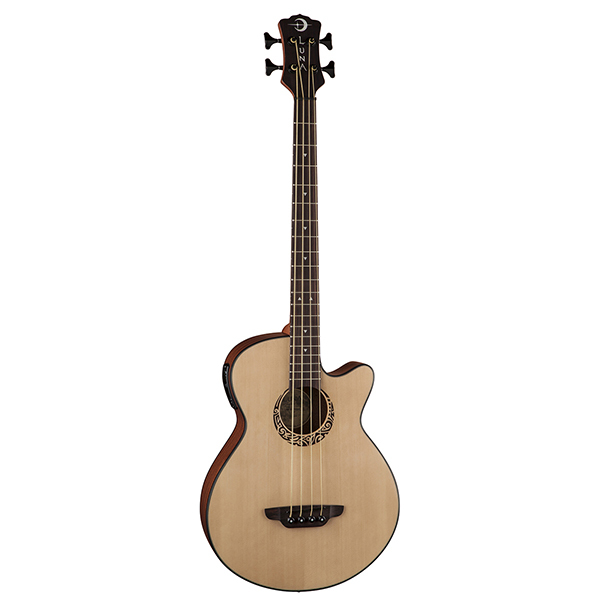 Features include a Mahogany body, set neck, walnut fretboard and pearl dot inlays. 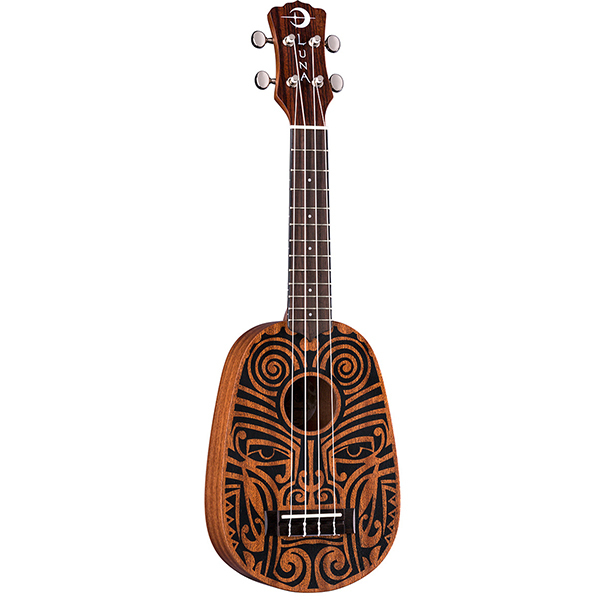 A beautiful "Tiki" motif rendered in a stunning design combined with quality construction and great value make this a "best buy" for a variety of players and styles.